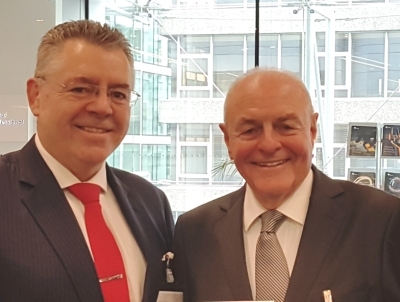 David Stringer-Lamarre, MD of Fortis Consulting London was pleased to attend the book launch of ‘The Auditor: Quo Vadis’ written by Professor Mervyn King and Professor Linda De Beer. It was held in the City of London at the Association of International Certified Professional Accountants & Chartered Institute of Management Accountants. The authors spoke about the numerous challenges to the audit profession and how the book suggests various considerations to tackle this. The point was made that audit and businesses must evolve together. Professor Mervyn King consults and advises globally on corporate governance and reporting, and is recognized internationally as an expert on the subjects. Professor Linda de Beer is a chartered accountant, a chartered director and the former chairman of the Consultative Advisory Group of the International Auditing and Assurance Standards Board, as well as a member of the Public Company Accounting Oversights Board.